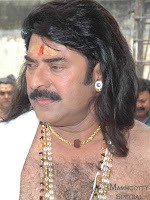 Pazhassi Raja, a forthcoming biopic magnum opus historical film from the team consisting director Hariharan, script writer MT Vasudevan Nair and superstar Mammootty who gave us the unforgettable Oru Vadakkan Veera Gatha (1990), will start its final schedule of production by the last week of August. It is said the movie needs another 25 days of shooting for completion. Major parts of its final portions, including the climax, will be shot in the dense forests of Karnataka and Kerala. Mammootty will join the sets after completing his latest Maya Bazaar by Thomas Sebastian. Lead actress Kanika, who had been away from films after her marriage last month, will return to complete her parts in Pazhassi Raja, one of the biggest budgeted movies of Mollywood.